Abu Dhabi; UAE-based health care provider NMC on Friday organised its ‘Walk of Life’ event in Abu Dhabi to raise awareness against cancer. 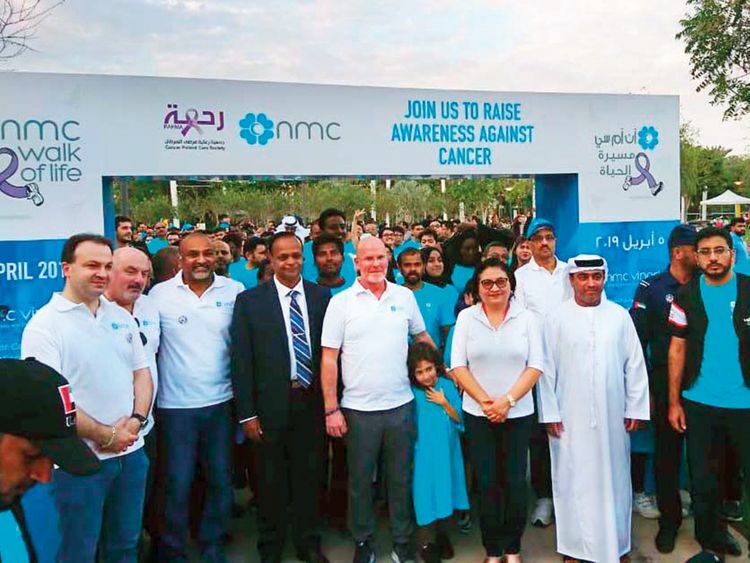 Over 5,000 people, including more than 50 cancer survivors, participated in the event held at Umm Al Emarat Park, which was aimed at highlighting the importance of prevention and early detection of cancer. Also attending were A. Sabarullah Khan, Sri Lanka’s ambassador to the UAE; Hjayceelyn Quintana, Philippines ambassador to the UAE; Professor Jamal Sanad Al Suwaidi, chairman of Cancer Patient Care Society — Rahma; and bikers from Abu Dhabi Bikers Society.